Just wait, if you are just about to place your order at Flipkart. Maybe, we can help you out in saving some money on your order. Yes, today we have expected dates for Flipkart Upcoming Sale 2019. Today, here we will discuss next sale dates those will happen at Flipkart or expected to happen. The only motto to have this post is that this post may help you in saving some money as you can just postpone your order for next one week if there is any sale going to be organized. But, you just can’t predict the Flipkart next sale date so it is not worth to postpone the purchase of the product that you are willing to buy from Flipkart in April 2019. So, we will help you out with that issue as we have a complete date of flipkart upcoming sale 2019. I will tell you about all the offers that you can grab in Flipkart Sale April 2019. I will select each and every sale and will put it here with expected dates for most of the sales and the exact date will be updated right here on this page if sale dates are announced by Flipkart. Flipkart is one of the top online shopping sites in India and they have millions of products available on their website which you can purchase at the best price. You can simply place your order at flipkart and can get that delivered at a very reasonable price. Being one of the biggest shopping portals, they provide complete satisfaction to their customer. You can always expect timely delivery, 24/7 customer support and a good price from them alway. And if there is any shopping sale going on, you can always expect a jaw-dropping discount on most of the products which are available there. There is almost no category which’s products are not available at Flipkart. and in other words, they do have everything that you can ever need. So, to make your purchase with flipkart done at the best price whole year we have flipkart upcoming sale dates for 2019. We will guide you with next sale dates so you can save maximum throughout the year while shopping online at flipkart. In flipkart next sale there will be a lot of deals available at a very good discount. if you wish to or needs then you can grab those offers and can make your shopping a lot cheaper. Usually, during the sale, you get around 40-60% discount which goes up to 90% for some specific products which comes under steal deals. Moreover, you can also avail some back special Flipkart cashback offers and can make your purchase more worthy. Bank special offers allow you to get up to 15% instant discount on your order. However, mostly you will be able to get a 10% discount only as its long time since I have seen an extra 15% discount from Flipkart. 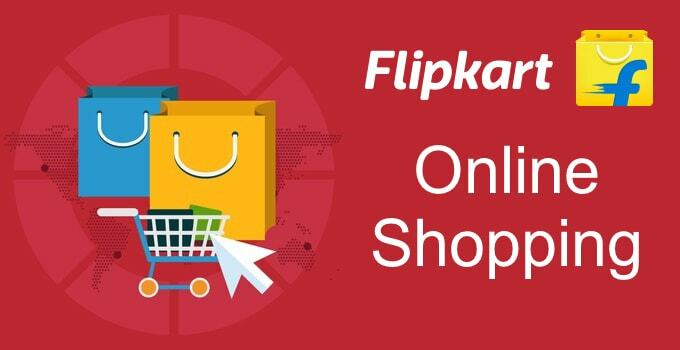 1.1 Top Offers in Flipkart Sale 2019 – Next BIG Deals Revealed! Top Offers in Flipkart Sale 2019 – Next BIG Deals Revealed! Huge discount on mobiles, laptops, TVs, washing machine, clothing, cameras, fashion accessories, electronics, kitchen appliances and more in this Flipkart big upcoming sale. Don’t miss, hurry up there’s very limited stock available. Get up to 60% discount on TVs & Home Appliances in this sale. Club this discount with No cost EMI & Exchange offers to make the most of these offers. There is discount going on, on TVs, AC, Washing Machine & other appliances. HSBC Bank credit & debit card users can also get extra 10% discount, instantly (Every Monday). Flipkart’s exclusive sale on Laptops with discounts as much as 35% on laptops from top brands such as HP, Acer, Lenovo, Apple, Dell, and Microsoft. Get the latest generation laptop at the best price in this sale. You can also make use of no cost EMI offer to purchase a laptop on EMI without paying anything extra. You can also get up to Rs.10,000 discount by exchanging your old laptop. The exchange offer is available for a few locations only while all major credit cards are supported for No Cost EMI Offer. Now here comes the much-awaited sale from flipkart on mobile phones which has a lot of offers on smartphones exclusively. All the bestselling smartphones at flipkart will be available at a massive discount under the last Flipkart Mobiles Sale 2018. The discounts on your favorite smartphone will be there for 4 Days, so you can get enough time to shop new smartphone in 2018. Flipkart special fashion sale with up to 90% discount on fashion products. Flipkart’s big range of clothing store deals is here to save you some bucks. In Flipkart Fashion sale you can find multiple offers on top fashion brands and products along with Buy 1 Get 1 Free offer. They have covered almost every big brand in the sale which will make it sure that you don’t have to compromise on quality. Everything from Men’s, women’s & kid’s clothing store will be available with massive discount up to 90% under this sale. Most of the expensive things that are available in sale come under the electronics category. This is where most of the peoples are spending their money, the most. So it’s obvious that lots of peoples are waiting for a electronics focused sale on flipkart. We have this expected small flipkart upcoming sale on electronics for April 2019. let’s see if the sale goes live for real. Big Billion Day 2019 sale is the biggest sale Flipkart will organize this year. The sale will again show up with ultimate discount offers in 2019 (October probably). The shopping festival will be live for 5 days and I can make you sure that you can never get good deals like this sale in any other sale at Flipkart. You will see a lot of deals in this sale on products from categories such as mobiles, TVs, clothes, furniture, fashion, home furnishing, and others. Holi special deals go live the grand gadgets days sale. Get up to 80% discount on all the gadgets including all the electronics & accessories such as home appliances, kitchen appliances, laptops, TVs, washing machine and all the electronic accessories. The sale also has something special for HDFC card users. They can get No-Cost EMI in the sale using HDFC Credit Card. This is expected that flipkart will announce big shopping days sale for January 2019, very soon. The sale should go live at last in January for 3-5 days. Similar to the last sale, this sale will also come up with a lot of discount offers. The sale is mostly focused on mobile phones and will bring you the best mobile offers for this year. Get up to 60% off under the cashless payday special Flipstart Days Sale. This flipkart upcoming sale will go live between 1st-3rd April. It means that you have this one chance to have the start of the month with big discounts. The discount offers have products for bestselling televisions, home appliances such as AC, Washing Machine, Heaters, Geysers & a lot of other products from the electronics and appliances category. Shoppers will also get an additional 10% instant discount on their order if they pay online using Axis Bank Cards for the order. 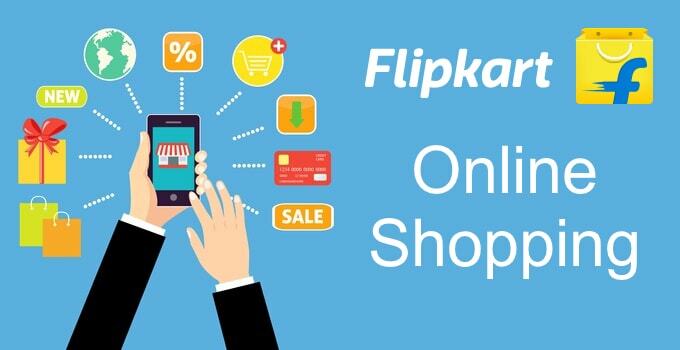 Flipkart Flipstart Days Sale 1st to 3rd April 2019 This sale goes in the start of every month and brings great deals. Additional 10% discount on prepaid orders is its main highlights. Flipkart End Of Season Sale 5th to 8th April 2019 Purchase of season clothing for next season at the cheap prices. in this sale most of the brands will be clearing their stock for winters in order to fill their stores with seasonal cloths for summers so make sure you avail your chance to grab those clothings at the lowest price. You can use those clothes in next season. Flipkart Big Shopping Days 9th to 13th April 2019 Start shopping in the big shopping days sale on flipkart. it will go live in the starting days of April and will last for 3-5 days. This will be the last big sale for this year. Flipkart Summer Sale 2nd to 6th May 2019 Summer clothing and all the new seasonal clothing along with other top products from flipkart online shopping store at the best price available in the summer sale. Flipkart Big Billion Day Sale 10th to 14th October 2019 It's 5 days biggest sale days of the year from flipkart with biggest discount deals of Flipkart. This is start of pre-diwali festive offers. Flipkart Dussehra Sale 19 & 20th October 2019 Dussehra special deals on flipkart. In case you miss to grab deals on BBD sale you can still avail discount offers in this Vijayadashami sale. Flipkart Big Diwali Sale 1st to 5th November 2019 Hindu's biggest festival with greatest deals ever for the season. You will see back to back deals just because of this biggest festive season of the year. Flipkart Dhanteras Sale 5th November 2019 The official shopping festival in Hindu religion. It is known as the best day to shop for new products so expect some great deals from flipkart for this festival. Flipkart Christmas Sale 25th December 2019 No festival is meant to be missed then how a big festival like Christmas can be missed. Explore year end deals in this one day exclusive sale. Flipkart Year End Sale 31st December 2019 Say goodbye to 2018 with a last sale of the year, not big but still get some considerable discount of some of the bestselling products. Flipkart New Year Sale 1st January 2020 Welcome the new year 2019 with wooping discount on every product you see in the sale. It is the first sale of 2019 and will amaze you with discount like never seen before. Plan you new year's shopping list and just hit the buy now button to enjoy deals you were waiting for. Flipkart Republic Day Sale 22nd to 26th January 2020 One of the most important days of democratic India. Its a national festival and holiday, flipkart coming up with up to 70% to make sure you end up saving. Flipkart Valentines Day Sale 14th February 2020 Purchase gifts for your loved ones at discounted price in the sale. up to 60% discount awaiting you on various products. Flipkart Women's Day Sale 7th to 8th March 2020 Up to 80% discount awaiting you on this womens day. Grab special deals on women specific products in the sale. Flipkart Holi Sale 18th to 21st March 2019 This joyful festival to excite you more with discount on top products on flipkart you are waiting to purchase. Above table will give you an idea of your question when is the next sale on flipkart. We have added expected dates for most of the sales. We will update exact dates once we get to know about them. As the summer season brings the heat, Flipkart Super Cooling Days Sale 2019 on Air conditioners, Fans & Coolers will make sure you don’t suffer this summer. You got to shop for summer appliances for a minimal price in this mega sale. Use your ICICI Bank card to get additional 10% instant discount on your purchases. Flipkart summer sale 2019 is a great chance for you to prepare your home for the upcoming heat. Household products up for sale in the home shopping days. Shop for household products, furnishing & furniture for the lowest price ever. You can shop for beds, sofas, chairs, mattress etc in the sale. There are lots of steal deals in the sale so make sure you don’t miss them by clicking on below button. Savings as huge as up to ₹17,000 in the Vivo Carnival sale. Look for amazing offers on Vivo smartphones in this sale at price you never expected. The discount will run from 9th April till 11th April along with no cost EMI & extra 5% discount when paid via axis bank buzz credit card. Get Honor’s quality smartphones at best price in Honor Gala sale at Flipkart. All the Honor phones are available in this sale purchase at best price. Amazing discounts from the sale will be available till 12th April. Buy Realme C1, 2, 2 Pro & other Realme devices at Flipkart at discounted price. You can also get extra 10% discount on your purchases. The additional discount offer is applicable on all the prepaid orders. All the payments made through Credit or Debit card and net banking of all banks are eligible for this offer. Loves Xiaomi products? so fanboy, flipkart has a special sale for you in which they are giving you access to top products from MI brand at the lowest price possible. All the top smartphones from Mi are available for a decent price in the sale. On another side, you can also purchase other products from the Xiaomi which includes TVs, Mobile Accessories etc. This is your best chance to buy a smartphone from Asus’s new range of smartphones. They made a comeback with their outstanding Asus Zenfone Max Pro M1 which is now available for just Rs.7999. Along with that, there are a lot of unbelievable deals on Asus phones. You can purchase their latest Zenfone Max Pro M2 & flagship Zenfone 5Z at the best price ever. Flipkart’s celebrations for 15th August, Independence day starts on 10th August. Amazing deals for this national event will make you celebrate the day even more. The sale will keep going till 12th August so you have enough discount and time to shop and save. On can get an extra 10% cashback on Citi bank credit card, which is a very good addition to the discount you will get in the sale. Flipkart’s rakhi special sale is going on gifts, rakhis and other products including electronics and mobiles and all. This is the special sale on Raksha Bandhan which is live now after the amazing Independence day sale of flipkart. You can shop for your sisters or brothers and can make them feel special this Raksha Bandhan. This is official starting of this Diwali season’s festive days discount offers. With Flipkart Dussehra Sale you will see back to back offers till Diwali and then more deals in December after a gap of November. This is the biggest festive season of India coming with lots of offers on every product you are looking to purchase. Flipkart Diwali sale on this biggest festival of Hindus will be there with some great discount offer. Festive sales for this season has been started already so don’t miss deals on flipkart in this season. Flipkart has announced this upcoming sale it will live a few days before Diwali celebrations. The three days sale days are just about to go live on Flipkart. The sale is named as New Pinch Days and will pinch you with a lot of happiness of great discount offers. In the sale, you get to purchase the best deals. This special sale will be live sitewide with the special focus on fashion products section at Flipkart. The sale gives you the best chance for the winter shopping with over 80% discount. The sale will be live from 13th December and will be live until 15th December, which means you have a lot of time to shop in the sale. There will be a lot of deals during the sale period which is 3 days or you can say 72 hours of sale. During the sale, you will get to encounter a lot offers with a discount. In the sale, there will be an extra 10% discount with HDFC Bank card will a great discount offer for PhonePe users. So, don’t forget to avail these offers as well to make the discount go bigger. The best time to purchase is here, celebrate the day of Santa with Flipkart. Purchase gifts for your friends, relatives, family, and colleagues at best price on the gift of their choice. Yes, flipkart will be coming up with amazing deals this Christmas that allows you to purchase at the cheapest price you ever wished. The sale might get live from 22 Dec itself and the discounts of this winter sale will be there until 25-26th Dec 2019. Get big discounts on TVs and home appliances at Flipkart under year-end carnival sale which will be live on occasion of Chrismas. In the sale, you can also find No cost EMI offer which let you purchase expensive products on EMI without paying anything extra for EMI. Moreover, you can also avail exchange offers on these products to get an extra discount on your purchase in exchange for older products. Celebrations of the new year have begun at Flipkart from Christmas itself. Yet, there will be a separate mega sale from flipkart to welcome the new year 2020. Yes, you get a chance to welcome the new year with raining deals on thousands of products at flipkart. There will be a lot of deals out there on flipkart for this special day so we will also cover top deals from this event. We will be collecting all the top offers from this Flipart upcoming sale so stay tuned with us. There are a lot of mobiles going to launch in the meantime so it will be a perfect sale for anyone who has to purchase a smartphone. On another side, flipkart will also keep you updated with the latest technology as they have almost every brand’s smartphone available with them. In case you don’t know there are a lot of flagship devices at flipkart which are exclusive to them and been the bestsellers of the years. So, ultimately flipkart should be the first place for your shopping needs. Popularly known as Makar Sankranti in a larger area of India. Flipkart is hosting a sale on the occasion of this festival. There are a lot of discount offers on TVs & Appliances. You can get an additional 10% discount using Americal Express cards. This is not an upcoming sale anymore as its already live at flipkart. Amex card discount is valid only on minimum transaction of Rs.10,000 or more and maximum Rs.2000 discount can be availed under this offer. The national day of proud and celebration, 26th January will be another reason for Flipkart next sale. They leave no special day so how can they leave an important day which has a big name in Indian history and have a big impact on Independence of India so here you have another set of deals waiting for you. Purchase gifts for loved ones from Flipkart’s valentine day special sale 2020. The sale has some amazing gifts up for sale to give you maximum happiness at least price. There are various products available for sale so it will help you choose the perfect gift as there will be multiple choices in front of you. You can access the sale by visiting the sale page at flipkart. The sale has started already so go and avail the top deals right away. Women’s Day Offers in Flipkart will start on 8th March. The sale is announced and the discounts which are going to get also revealed by flipkart. In the sale, you will get up to 80% discount on various products. The sale has some good deals on women’s products such as clothing, beauty, and other fashion products. You can also purchase mobiles and kitchen/home appliances at a discount in the sale. The festival of colors is here. In March 2020, get colored in this festival and shop with the full excitement of the fest at the cheapest price. You will be able to get discounts on mobiles, TVs & clothes on the sale. The sale will live very soon on flipkart and we will publish all top offers here on this page, so stay tuned with us. Every year April starts with pranks, big pranks on 1st April. But, this year it starts with Flipkart no kidding days sale which is going to be organized on 1-2nd April. In the sale, you will also get extra 10% instant discount with HDFC Bank cart so keep you HDFC Card loaded in order to save some extra bucks. Ugadi is a widely celebrated festival in India. In Maharashtra, Ugadi is celebrated as Gudi Padwa on the same day. Both mean the same but a celebrated in different ways as per location. It is similar to New Year Celebrations because of Hindu New Year. On this special day, Flipkart will have a special sale on some products. You can make your shopping much cheaper at this special sale. So stay updated with flipkart upcoming sale dates for 2019 with dealgyan. We will keep updating this post with all the next sale dates that are going to happen on Flipkart. In case you want you can also check Amazon upcoming sale dates in another post. when will next flipkart sale begin on laptops?? There will be Mi fan festival sale from 4th April, Poco F1’s 6GB RAM + 128GB ROM variant will be available for Rs.20,999. I wanted to buy Redmi note 7 pro..but I was not able to get it today….so, when will be the next flash sale for Redmi note 7 pro…would be glad to see ur reply!! Redmi Note 7 Pro will be available for sale on 17th April at 12 PM.